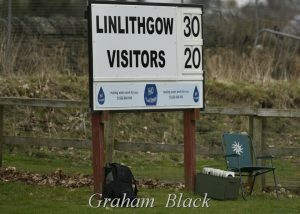 Spring arrived at last as Linlithgow took to the field at Mains Park for the last game of the season, needing to take something from the game to ensure league safety. 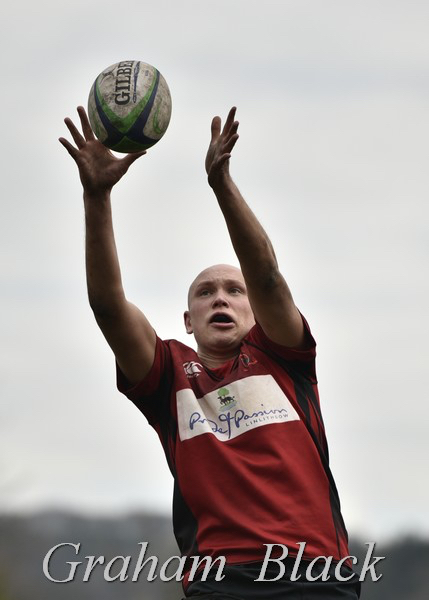 On-going injury absences meant that the Reds’ squad contained 8 players from this season’s unbeaten 2nd XV side. Early pressure from the Reds evaporated as the visitors capitalised when a sustained Reds attack broke down close to the Forrester line. A few plays later the visitors created an overlap out wide right for an unconverted try, which they added to a few minutes later by landing a penalty for an 8-0 lead. 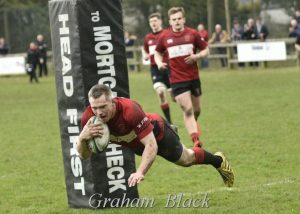 Jack Frame, only recently returned from long-term injury, hooked a long distance penalty effort wide, before the Reds scored a cracking try to get on the scoreboard. A sustained drive just inside the visitors’ half sucked in the cover defence and John Chapman, playing at stand-off, spotted the opportunity out wide with Rab Cairns calling for the ball. His inch perfect crossfield kick was taken on the full at pace by Cairns and he outpaced the defence to score under the posts for a brilliant try which Jack Frame converted, to pull the Reds back to 7-8 down. 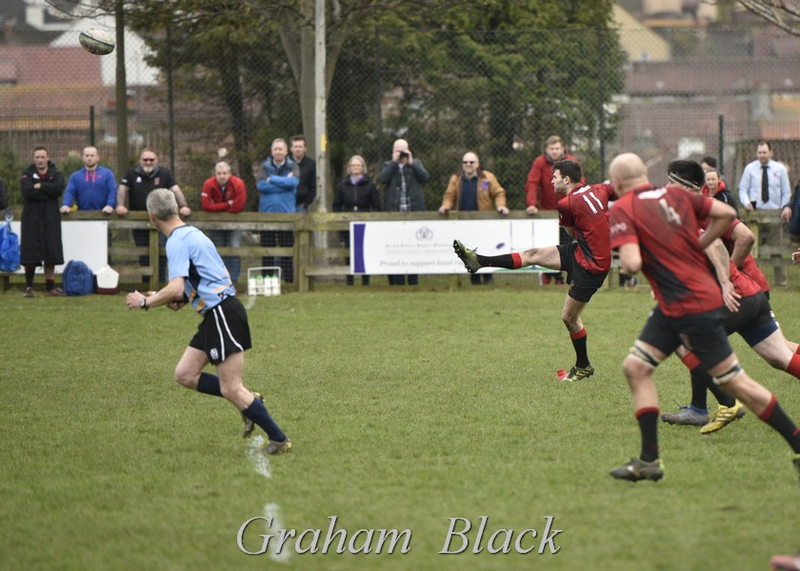 Linlithgow went into the lead with a Jack Frame penalty before Forrester scored a try in the corner, after a lovely piece of play by their full-back who twice chipped ahead in open play, firstly recovering his own kick ahead, then placing a beautifully weighted kick into the Reds dead-ball area – the chasing Forrester player just getting his hand to the touchdown ahead of the covering Hagerty, who had chased back well. Forrester then added the conversion to take a 15-10 lead with only a couple of minutes left in the half. 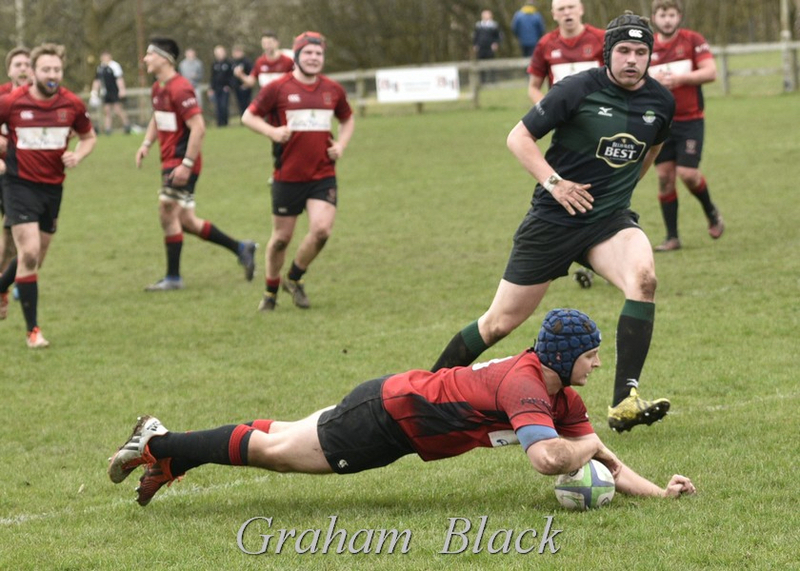 The Reds responded positively from the restart and made inroads into the visitors’ half before winger Jack Frame showed a clean pair of heels to the defence to score an excellent try in the corner. The difficult conversion was just missed, leaving the halftime score tied at 15-15. The Reds maintained their momentum after the restart, putting Forrester under immediate pressure. 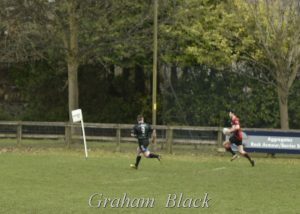 An early opportunity to score was missed, however a fine drive by substitute Kieran Cochrane into the Forrester 22 provided great ball for the backs with centre Andrew Whitelaw spotting and slipping through a gap to score a try near the posts which Jack Frame converted to give the Reds a 22-15 lead. From the kick-off the Reds put themselves under pressure and, despite having a good opportunity to clear their lines having been awarded a penalty, found themselves with a scrum close to their own line. The ball was cleanly won only for the attempted clearance kick to be charged down, with Forrester pouncing on the loose ball to claim a try. With the conversion missed, the Reds still held a slender lead and, for a while were under pressure, however their defence held firm. 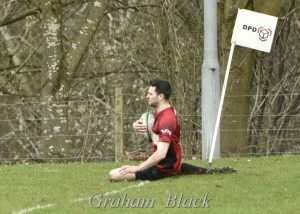 Forrester were frustrated and lost some composure, being penalised on a number of occasions for foul play. 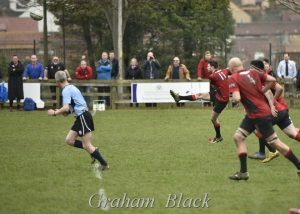 A long failed penalty attempt into the breeze was their last serious attack and as the match ran into its closing stages, the Reds relaxed and started to play better rugby. 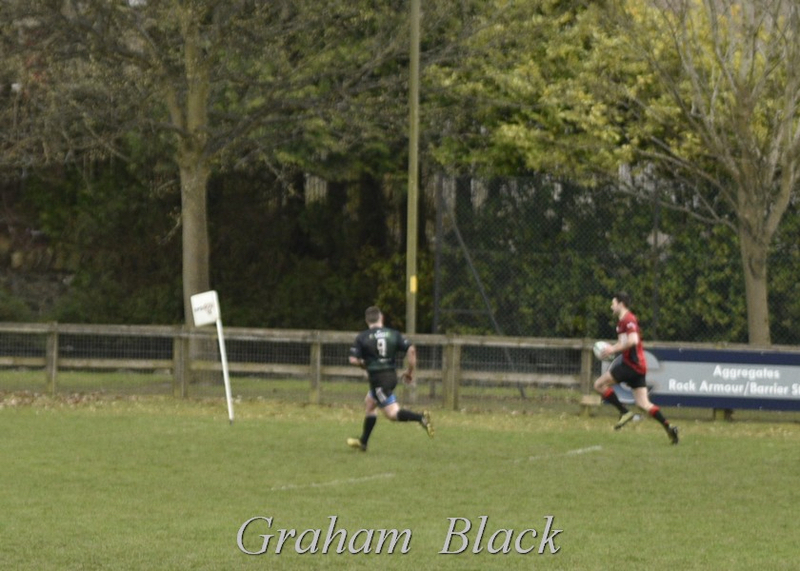 By now Cammy Walker was on for the Reds and two crunching tackles from him helped swing the match as the Reds went on the attack with Jack Frame scoring his second try of the match out wide on the right. 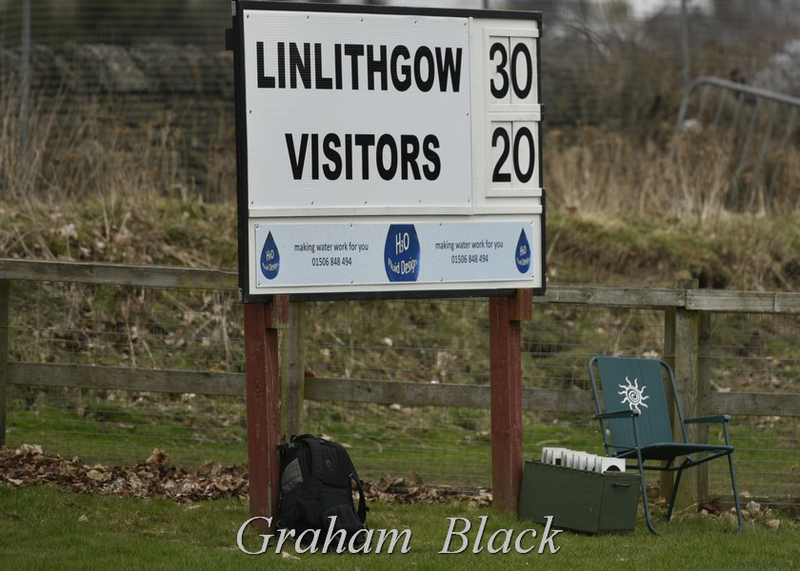 He missed the conversion, but was spot on with a long-range penalty on the final play of the match, giving Linlithgow a deserved 30-20 bonus point win. This was the Reds final league match of the season and, given the number of long-term injuries the team has suffered, the 9 wins from 20 matches is a fair record. The Reds finished on 49 points and during the course of the season featured 43 different players! 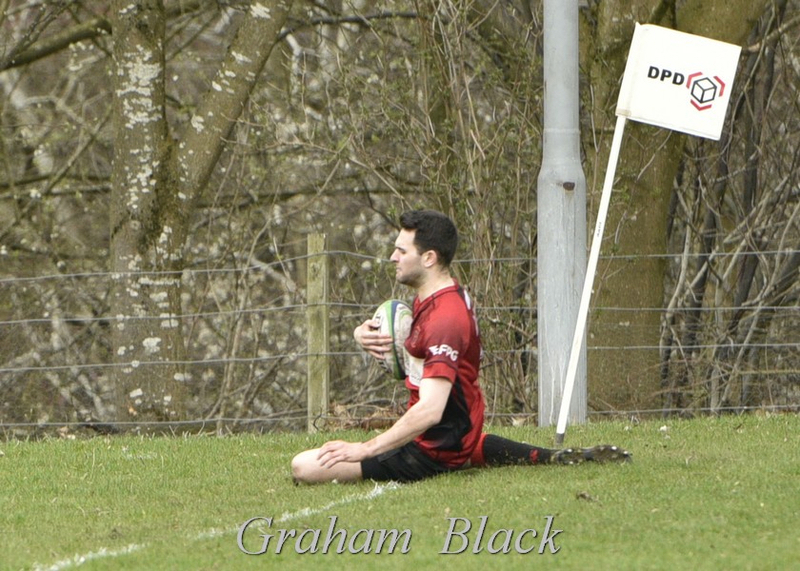 Meantime the Reds 2s won all 18 league matches, amassing 88 points as a result of 16 try bonus point victories. This Saturday the Reds travel to Inverleith Park in Edinburgh to play in the Edinburgh Northern 7-a-side tournament. Rab Cairns; Jack Frame, Andrew Whitelaw, Aidan Rennison, Cammir Murrie; John Chapman, Jamie March (captain); Sam Buckley, Euan Mochrie, Steven Grant; Neil Lockhart, Sean Hagerty; Andrew Archer, Ross Martin and Mark Caddle. Subs – Colin Devlin, Kieran Cochrane, Lauchlan McCall and Cammy Walker.